One of the biggest advantages to booking your golf and accommodations through MB Golf is that you can book your own Myrtle Beach tee times right on our website from the comfort of your armchair. Furthermore, we also offer multi-round discounts on Myrtle Beach tee times. 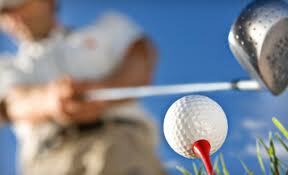 Nearly all avid golfers love the idea of going on a golf vacation. They live for the opportunity to improve their game. If there’s a course they haven’t tried they’re usually pretty anxious to get on it. South Carolina is the heartland for golf courses, especially the Myrtle Beach area. Here you’ll find many courses you’ll love no matter what your skill level. Following are some six tips to remember to help you plan a golf vacation. 1. Planning early. Make your plans as far in advance as you can to avoid disappointment. 2. Research. Surf the web to gather as much information as you can about the area you’re going to, the courses available, and the accommodations that are there. 3. Can you afford it? Check the course fees and look for specials and discounts. Be aware that some places charge premium fees on weekends or holidays. 4. Package discounts? Find out if you can buy a golf package. Consolidating expenses will often result in a lower price overall. 5. Booking tee times. Book tee times at least a few weeks in advance of your arrival date if possible. 6. Payment and Cancellation Policies. Know up front how much your deposit is and when the balance is due. Understand the cancellation policy in case of inclement weather or other unforeseen circumstances. If you’re headed to South Carolina this month and looking for some sweet deals on Myrtle Beach golf packages be sure to check out the Myrtle Beach National Package only available through MB Golf. It’s your golden opportunity to play Myrtle Beach’s finest golfing layouts designed by nationally famous golf course designers. Among those are Aberdeen Country Club, Pawleys Plantation, Tradition Club, Willbrook Plantation, Waterway Hills, Myrtle Beach National Kings North, and more. National Packages offer unbeatable value and with many championship courses to choose from golfers of all skill levels can find their perfect challenge. The current deal is 5 rounds/4 nights for as low as $340! Among our Myrtle Beach golf packages we also have a Premium Package of 4 rounds + 1 free round on either Arnold Palmers’ Kings North or Grande Dunes together with any other three of the following courses and receive a free round! Blackmoor, Farmstead, Litchfield Country Club, Long Bay, Pawleys Plantation, Pine Lakes, River Club, Wachesaw East, Wild Wing Avocet, and Willbrook Plantation. For those on a budget we have a Value Package that also allows you to play 4 rounds and get 1 free round. These are quality courses at affordable prices. Choose 4 courses from the following list and you’ll get to play 1 free round! Aberdeen, Arcadian Shores, Blackmoor, Farmstead, Litchfield Country Club, Meadowlands, MB South Creek, MB West Course, Myrtlewood Palmetto, Myrtlewood Pine Hills, River Hills, Tradition Club, Wachesaw East, and Waterway Hills. If Myrtle Beach, South Carolina, is your preferred golf destination for this year’s vacation you will not be disappointed. We have some of the best golf in the country. When you come here to play Myrtle Beach golf you’ll discover our world class courses, delightful sunny weather and pristine white sand beaches. Whether you just want to golf on our courses in Myrtle Beach or you are also in need of accommodations, we can meet your needs. With more than 110 courses to choose from Myrtle Beach has been a favorite golf destination since the late 1970s. No matter what your skill level and your budget is, there’s a Myrtle Beach golf course waiting for you. When you’re ready to play, come and enjoy yourself in Myrtle Beach. Give us a call at 800-422-1587 and we’ll set you up with what you need. When selecting the location for your next golf outing, look no further than what we have to offer. You can select the courses you want to play and learn what they offer, right from our website. In addition to sand and sun, we have a fabulous assortment of golf courses that really will astound you. Many of these are created by award winning designers and have themselves received many awards. No matter what your skills or what kind of course you prefer to play, you will find the best golf course to suit your needs right here in Myrtle Beach. If you’ve always come to vacation in Myrtle Beach, South Carolina, you know how good the golfing is. When you live here the arrival of winter does not mean the end of golf like it does to so many who live up north and out west. What makes this a preferred location to retire to is not only the temperate year round climate but also the opportunity to be able to play golf 12 months a year! On those occasionally chilly days it takes far more than a jacket to deter avid golf lovers. 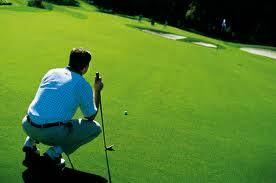 They also know they can get the best Myrtle Beach tee times on the courses they prefer the most when they come to us. Yes, you can book Myrtle Beach tee times at some of the other resorts but you won’t find the substantial tee time discounts that we are able to offer to you. You’ll be thrilled at the prices and courses we have to offer you. We always have specials going on and tee times to match your availability. If you have questions about our golf packages call us and our golf professionals will answer them in full to your satisfaction. If you own a Mustang, or even if you just love the cars, Mustang Week in Myrtle Beach offers the most unique collection of these famous cars. Burnout contests, races and car shows are just a few of the events in town. Meet up with other Mustang fans during Mustang Week, July 16-22, 2012. Golfing is a wonderful sport and can be very therapeutic if you pace yourself, stay calm and keep the ball on the greens. When you stay in our accommodations we can give you the best of both worlds with our awesome Myrtle Beach golf packages to go with your first class accommodations. We have affordable yet luxurious condos by the ocean or on the greens where you can play any of the more than 110 championship courses in the area. Come save big on our one of a kind Myrtle Beach golf packages. The only thing that beats playing on our challenging courses is saving so much money when you’re doing it. With all the savings you just may want to enjoy an extra day or two here. Some of our golf packages include Masters Package, Super Saver golf packages, Masters Package, The Glenns, Legendary Golf, custom golf packages and lots more. Come play on any of these great courses that were designed by champions of the sport. They’re perfect for anyone, no matter what skill level you are. Whether you’re looking for championship challenges or a easy weekend game of relaxing golf, the golf packages we offer will have you covered. Myrtle Beach, South Carolina, is the destination every golfer is ultimately aiming for. It’s not called the “Golf Capital of the World” for nothing. From rolling links to wooded fairways, islands and water challenge, to long stretches of greens, you will experience a golf game that you will never forget right here in Myrtle Beach. When you’re planning a golf getaway Myrtle Beach in South Carolina should be at the top of your list. 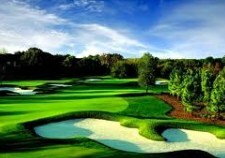 Choosing Myrtle Beach golf as opposed to anywhere else, you’ll be playing on world-class courses that will challenge you no matter what your skill level is. The beautiful weather at this coastal location further allows for playing golf year round. 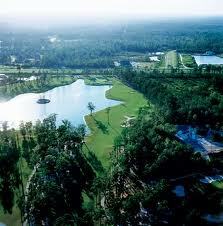 The Grand Strand area is home to over 110 courses offering up Myrtle Beach golf along with first class accommodations. At MB Golf we can set you up with golf packages that will be in the price range and at the courses you want to play on. Take pleasure in our Myrtle Beach golf vacations along with our pristine white sandy beaches and countless entertainment venues. There are over 1,800 dining establishments in the area ranging from casual dining to 4 star restaurants offering fine dining. Dress up or dress down, the choice is yours. We have a large selection of luxurious oceanfront condos, beach homes and golf course villas for you to choose from. When you stay in our furnished accommodations offering fully equipped kitchens you can dine in and save a bundle on restaurant tabs. That’s more money for you to spend at the golf course on our discounted packages. Don’t forget about our Guaranteed Price Deal. We will beat or match any comparable advertised Myrtle Beach package price — we guarantee it. We are the King of Myrtle Beach Golf vacations. Whatever you need, we’ve got it. From the best prices to the best accommodations and the Myrtle Beach tee times that you prefer, it’s all right here. Whatever you’re looking for, we can help you find it. But say you don’t need any help. Let’s say you want to manage your own tee times and where you play. Now you can book your own Myrtle Beach tee times on any of our champion ship courses right from our website. In just four simple steps you’ll be all set. Step 1. Choose your preferred tee time package, # of rounds you want to play and on what date. All tee times and accommodations are subject to availability. You will be contacted if any errors or omissions have occurred during the booking process. Step 2. Select your courses and tee times. We have Economy Courses, Mid-Range Courses, and Upper Level Courses to choose from, all listed in alphabetical order. Step 3. Calculate package price and book it. Price includes carts and all applicable taxes and fees. Step 4. Fill out pertinent customer information and payment method. It’s as simple as that! Our rules and regulations regarding booking your own Myrtle Beach tee times on our website are included on the payment page. Please take the time to read it over. If you prefer to talk to one of our golf sales specialists to set up your tee times please call us at 800-422-1587 at your convenience. MB-Golf is the leader in providing discount Myrtle Beach golf packages and provides tee times at over 110 championship courses in the area. We know how expensive vacations can be so we’ve put together some of the very best Myrtle Beach golf packages to be had. From first class accommodations to fairways that will take your breath away, you’ll be glad you made your reservations through us. We have vacation rentals that offer spacious suites with fully equipped kitchens and separate living areas. The awesome views from your oceanfront balcony are a relaxing way to begin and end your day. Enjoy onsite swimming pools and sundecks or relax in the Jacuzzis and hot tubs. Get your workout in one of the fitness facilities before going out to play and when you return unwind in any one of the area’s 1,800 restaurants and pubs. Myrtle Beach is the “Golf Capital of the World” for good reason. It’s the multitude of courses designed by champions that make this region so spectacular for golfing. Staying in any one of our first class resorts will have you close to the courses, shopping, amusement parks and plenty of entertainment. The nightlife in the region is not to be missed either. You’ll find dinner theatre, live entertainment, concerts, and honky-tonk bars. There are also plenty of special events and festivals taking place throughout the summer. 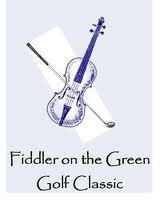 The Long Bay Symphony Guild will hosts its 10th Fiddler On The Green Golf Classic to benefit the Long Bay Symphony and its educational programs on Saturday, June 16, 2012, at 12 noon. The event, held at Myrtle Beach National Golf Club, includes cart, lunch, beverages and range balls. Choosing a Myrtle Beach golf course to play on is easy when you use the convenient Golf Course Directory we provide for you our website. We have links to over 40 courses just in Myrtle Beach alone! We give price ranges so you know what to expect to pay when you golf there. If you have questions about any of the courses, please call one of our Golf Specialists at 800-422-1587. You can book your course and accommodations online as well as your tee times for Myrtle Beach golf too. It just doesn’t get any easier than that! We have the best selection on golf packages of anywhere around and we guarantee you we’ll have the best rates available. We stand behind that guarantee too so all you have to do is polish up your clubs and come to Myrtle Beach to play golf. Looking for a special package on Myrtle Beach golf? Check out the Classic Group Special that includes playing at Burning Bush, Indian Wells, Black Bear and Founders’ Club at Pawleys Island. These are four of Myrtle Beach’s classic favorites where you can play 3 rounds for the price of 2 as low as $91 for tee times only. Or play all 4 courses for best per round rates as low as $187 for tee times only. If you’re coming to South Carolina to play golf this month give us a call and we’ll set you up in comfortable accommodations, and schedule your courses and Myrtle Beach tee times as well. This month is Military Appreciation Month and there is plenty going on in the Grand Strand Area. There will be plenty of military people here and on the courses too so don’t hesitate when arranging your Myrtle Beach tee times. Join us for Military Appreciation Days in Myrtle Beach during the entire month of May! We’re celebrating military men and women – active duty, reserves and National Guard – and veterans from every service branch. Look for military discounts from hotels and restaurants, along with concerts, special events, the big Saturday parade and family activities in downtown Myrtle Beach. Free Saturday Concerts – Hear the 282nd U.S. Army Band at 4:00 p.m., Saturday, May 12, in Plyler Park on Ocean Boulevard. 5K Run/Walk – Sign up now for this 5K Run on Ocean Boulevard and the Boardwalk! The race begins at 7:30 a.m., Saturday, May 26, and ends at Plyler Park. It’s free for active duty, reserves and veterans, or $20 for civilians. Memorial Day Parade – This big Ocean Boulevard Memorial Day Parade steps off at 10:00 a.m., Saturday, May 26. The parade begins at 27th Avenue North and travels south to Ninth Avenue North, with great views all along the route! Memorial Day Ceremony – Join the Grand Strand Patriotic Alliance and City of Myrtle Beach for the Memorial Day Ceremony at 11:00 a.m., Monday, May 28, on the Convention Center Plaza. Military Appreciation Days Ceremony – Our closing ceremony for Military Appreciation Days is set for 5:00 p.m., Monday, May 28, at Valor Memorial Garden, The Market Common.